In the hall of fame of epochal speeches delivered by world leaders, these words of New Zealand Prime Minister Jacinda Kate Laurell Ardern have earned their place for posterity. In a moving address at New Zealand’s parliament yesterday, she said, “I implore you, speak the names of those who were lost rather than the name of the man who took them. Ardern, whose personal magnetism and vision of a dynamic, progressive New Zealand drove her Labour Party to electoral victory in 2017, is being hailed around the world for her exceptional handling of a crisis that is unprecedented in New Zealand. To a world used to lip service from political leaders, Ardern’s stunningly elemental human values of inclusivity and equality among peoples, and her irrefutable demonstration of her beliefs, is a new face hope that the world sorely needs. “Can you imagine having a leader of a country showing this kind of empathy? Thank you, Jacinda Ardern, for reminding the world what a Leader is and could be,” London literary agent Jonny Geller wrote in a post. His views are being echoed by many who are seeing how a strong leader can steer a country out of a crisis while infusing new optimism and determination in her people. 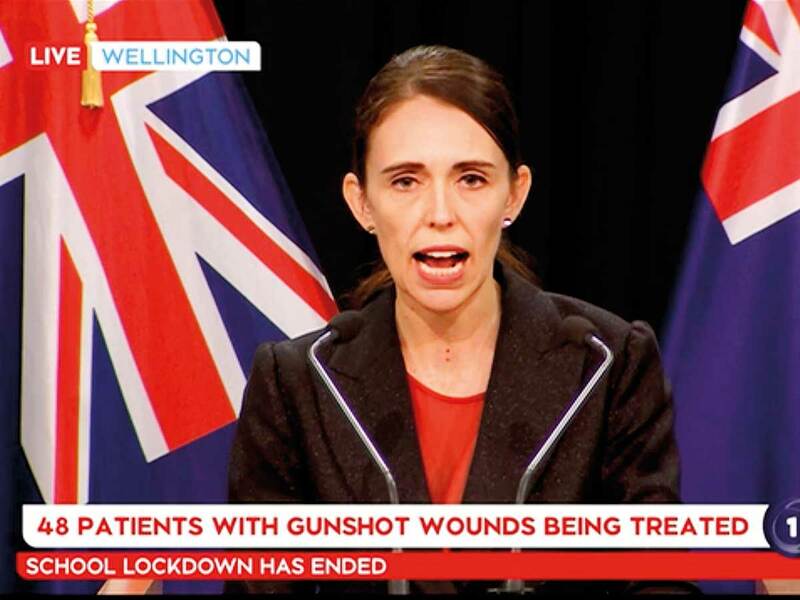 In the aftermath of the terror attack on Friday, Ardern’s every word, move and intent has been the stuff of courage, empathy and sincerity, a rare blend of characteristics in a political leader. Moving swiftly and surely to tackle the crisis, Ardern displayed grit and gentleness in equal measure as she visited Christchurch, the place of the attack, along with her cabinet ministers and opposition leaders. Covering her head in a gesture of deference to the Muslim faith, she displayed an extraordinary ability to humanise political leadership through pure sharing of pain as she met the families of the victims and spared no effort in embracing their loss with a transparency that has become a modern political touchstone. She’s awesome. They are changing the gun laws with a decision in 10 days, so she definitely walks the talk in that respect and is the face of her party, hugging people affected by the terrorist attack, so it’s plain to see she is connected to them. She almost made herself look too fantastic to have a baby when in office, it made a lot of working mums feel inadequate, when the reality was her husband was the one doing the childcare. Her feminine and compassionate side has shone through now though and that’s something everyone can register with. From what I see from overseas, she’s doing an incredible job in terms of leading from the front. She really is the epitome of the Kiwi woman. In my opinion, she is extremely genuine and obviously very strong as well and compassionate. She is certainly a leader for today. One of the great things in New Zealand that may not be known overseas is because of the small population, we’re extremely multi-cultural, well-integrated. I think she’s going to continue on the path, taking care of those that have been affected, but also remain strong enough to make the changes we all believe need to happen in regards to gun reforms. She began her career as a researcher for former prime minister Helen Clark, an experience which she has said made her wary about the demands of the top job. She later worked in the UK as a policy adviser to Tony Blair, while he was PM. In 2008, she became a list MP (a position in New Zealand politics where someone is elected from a party list rather than a geographical constituency. 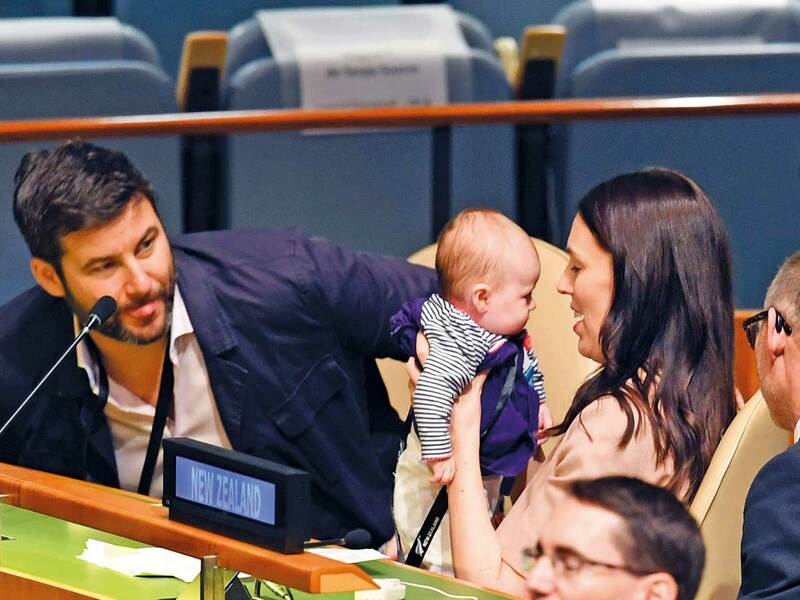 June 21, 2018: Ardern became only the second elected head of government to give birth while in office (after Pakistan’s ex-Prime Minister Benazir Bhutto in 1990).